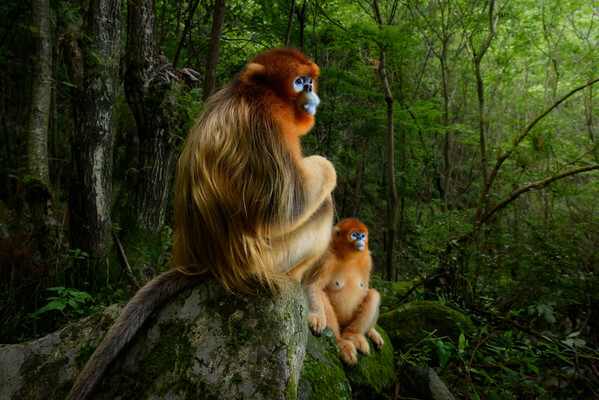 A world-renowned exhibition on loan from London’s Natural History Museum has opened in Geelong with stunning images of animals from around the world. Wildlife Photographer of the year has arrived at the National Wool Museum to showcase the breathtaking diversity of the natural world. Wildlife Photographer of the Year is the most prestigious photography event of its kind, providing a global platform featuring nature’s most astonishing and challenging sights for over 50 years. After launching in 1965, the exhibition has received almost 50,000 entries from over 90 countries. This year’s 100 award-winning images include photographs taken by Australian photographers Georgina Steytler, David Gallan, Justin Gilligan, Wayne Jones and Robert Irwin, the son of ‘Crocodile Hunter’ Steve Irwin. Mayor Bruce Harwood is rapt the 2019 exhibition is visiting Geelong. “It’s seen by millions of people all over the world, and it’s a great honour to have it here in Geelong for nearly four months. Hosting this exhibition attracts visitors to our region, and further builds our reputation as an arts and culture destination,” he says. The wool museum’s Padraic Fisher is “delighted” the exhibition has returned in 2019. Entry to the exhibition costs $10 for adults, $8 by concession, $6 for children, and $30 for a family of up to two adults and four children. Prices are set until 30 June.